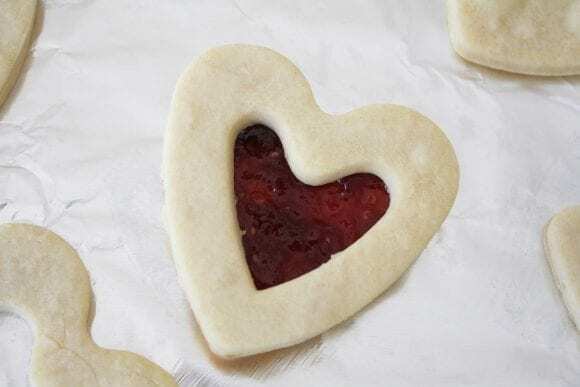 Just in time for Valentine's Day, how about using this linzer cookies recipe to make pretty jelly-filled cookies to share with the people you love! 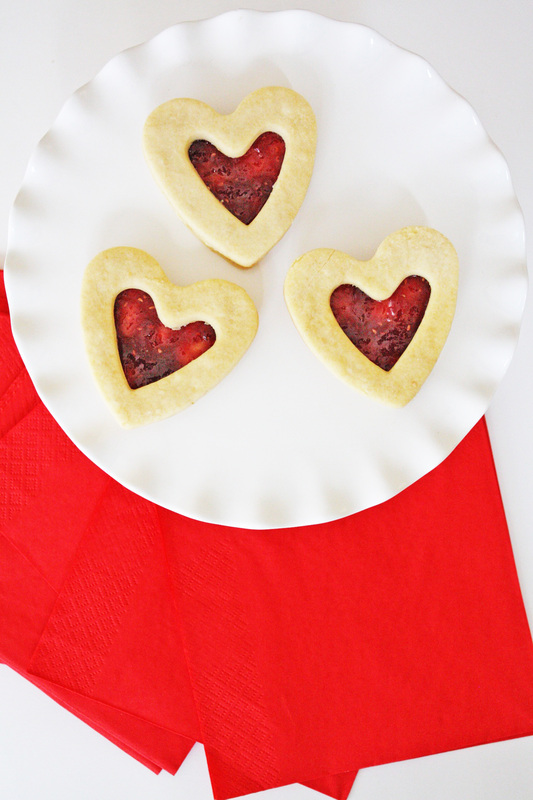 The best thing about these cookies is they're a combination of crispy shortbread with sweet fruitiness. Yum! In a medium bowl, combine butter and clear vanilla. 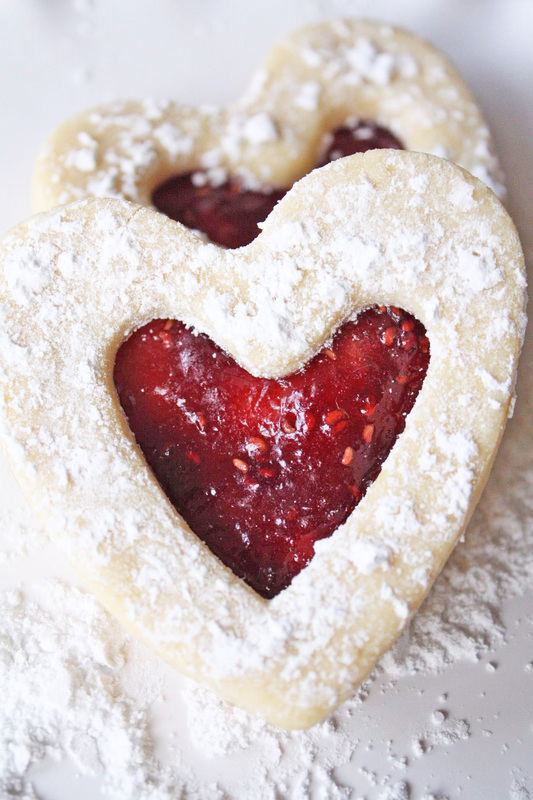 Mix in powdered sugar and cornstarch. Mix until combined. Add in the flour. 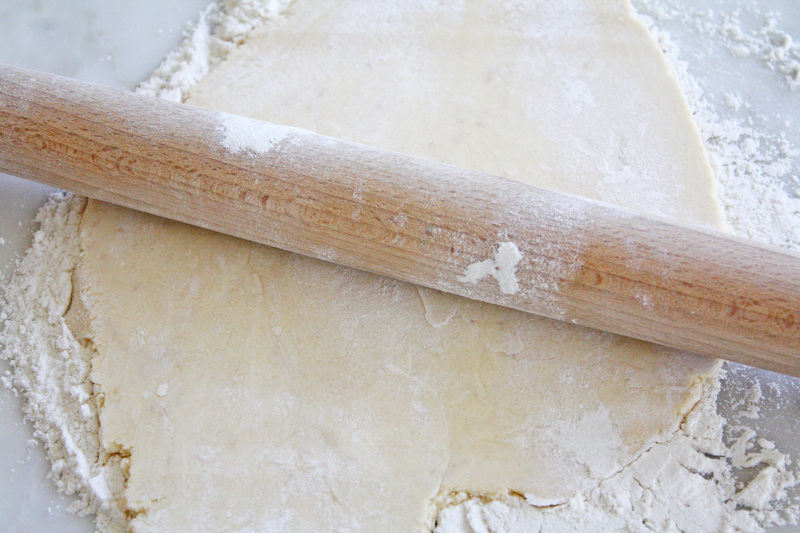 Using your hands, mix the ingredients and form the dough. It gets pretty sticky. Once the ingredients are combined and you have your sticky dough, dust your hands and a clean surface with powdered sugar. 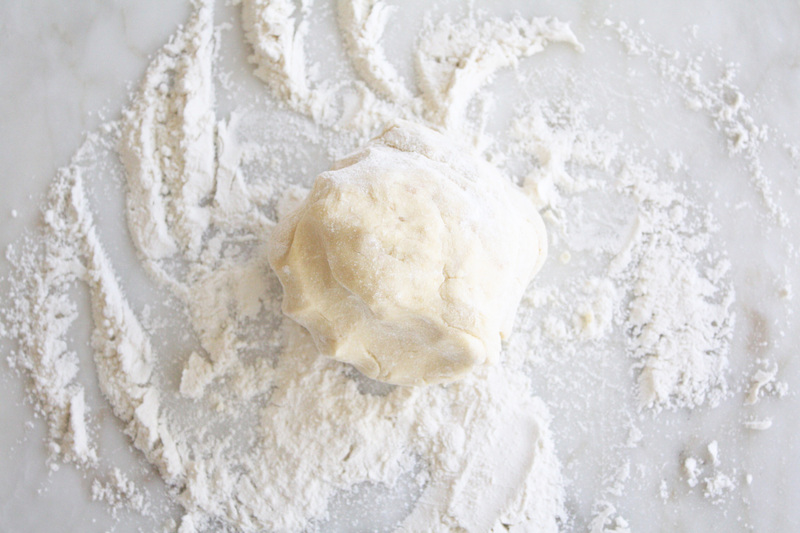 Grab the dough and form it into a ball. 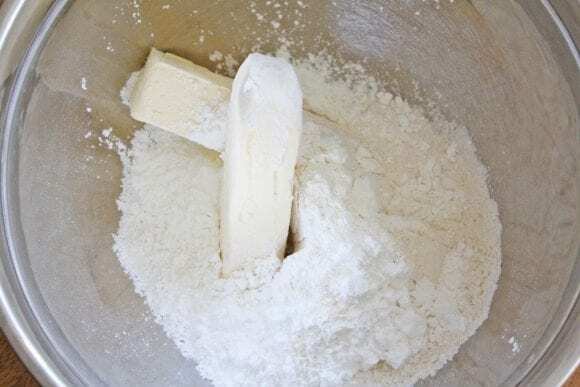 Continue to add powdered sugar until dough is less sticky and ready to roll out. 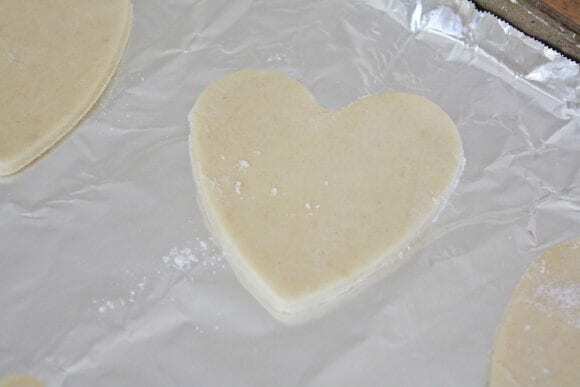 Roll out the dough on a powdered sugared covered surface. 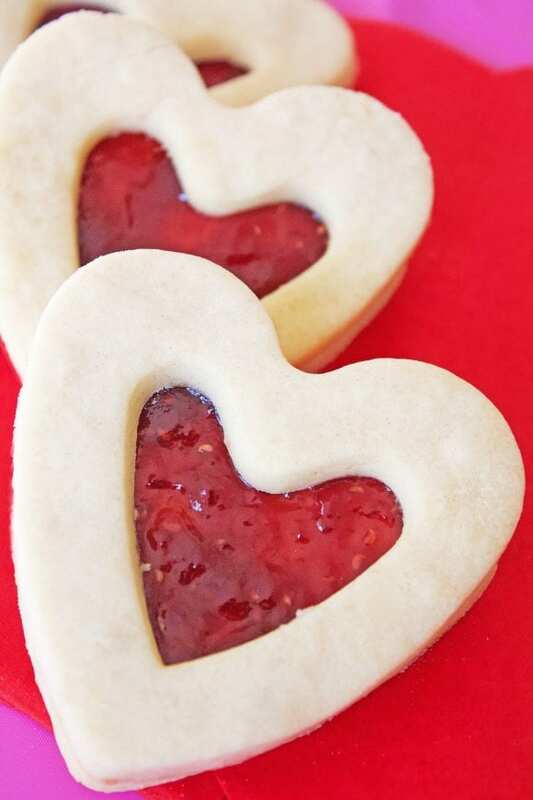 Use a large heart cookie cutter to cut out the “base” and “tops” of the cookies. Cut an even number of tops and bottoms. 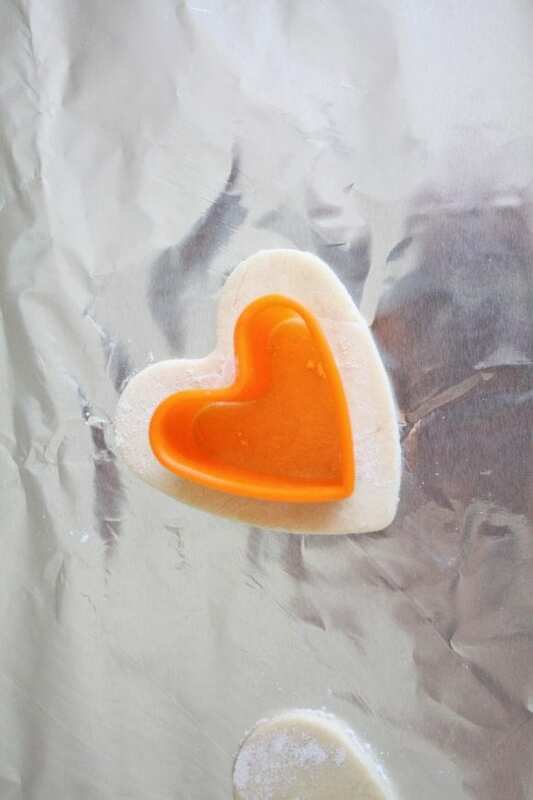 Line the hearts on a greased cookie sheet. 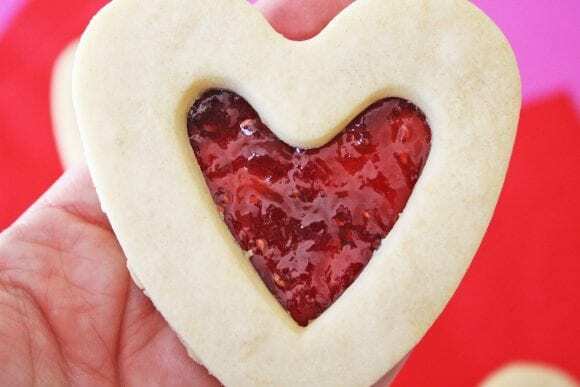 Using a small heart cookie cutter, center it on the tops of the heart cutouts and cut a small heart in the center. Repeat for each top. Bake all cookies for 12 minutes. 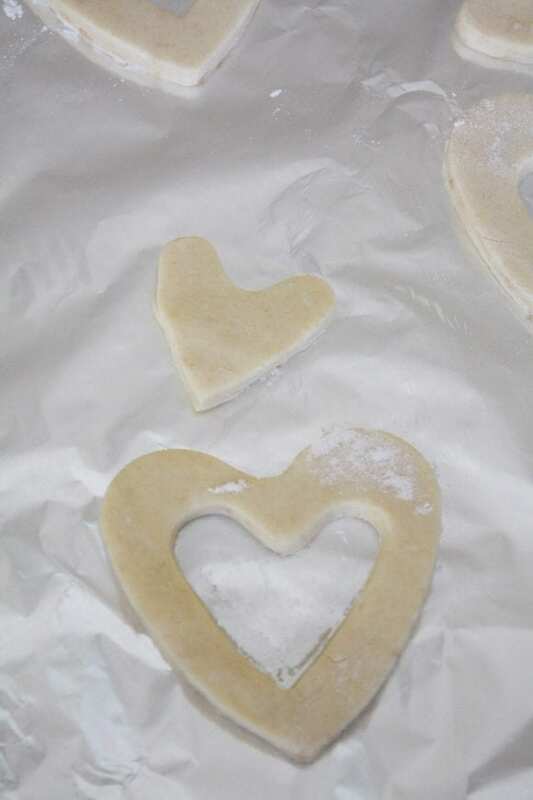 Allow cookies to cool. 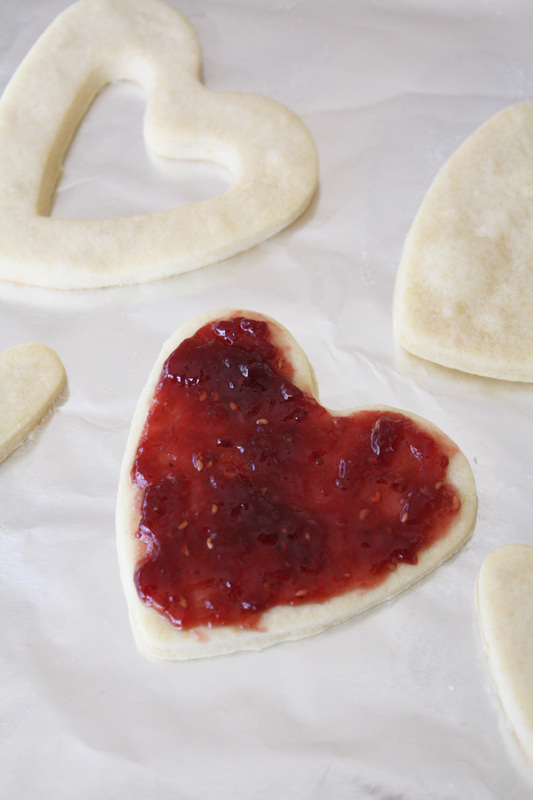 Spread your favorite jelly on the bottoms of your linzer cookies (the ones without the small heart cutout). 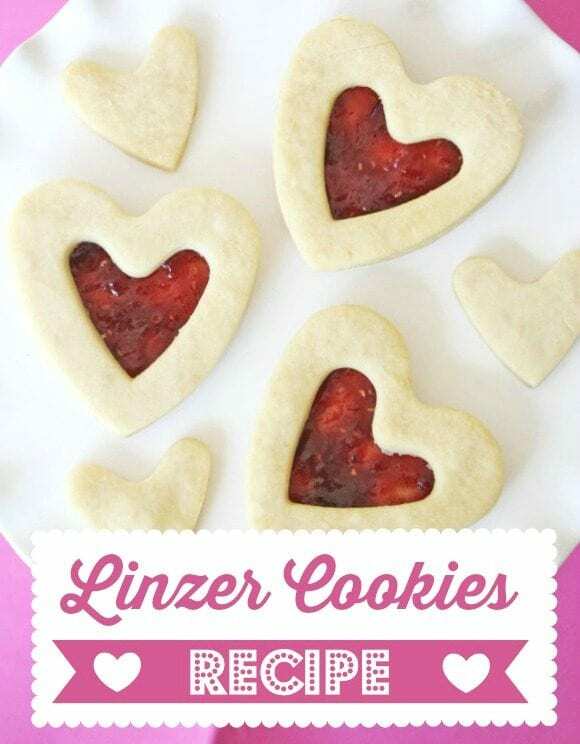 Optional: Sprinkle powdered sugar over the tops of your linzer cookies. Gently place tops on top of the bottoms. 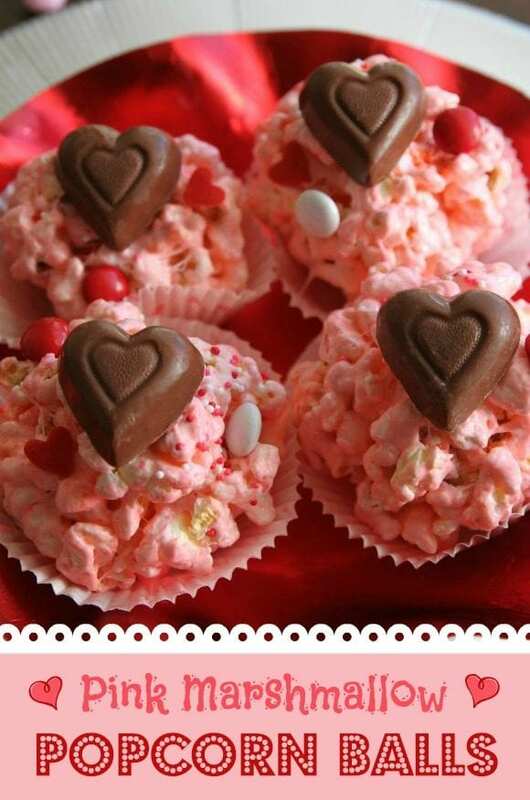 This party craft was created by our style contributor, Shauna at Ella and Annie Magazine! 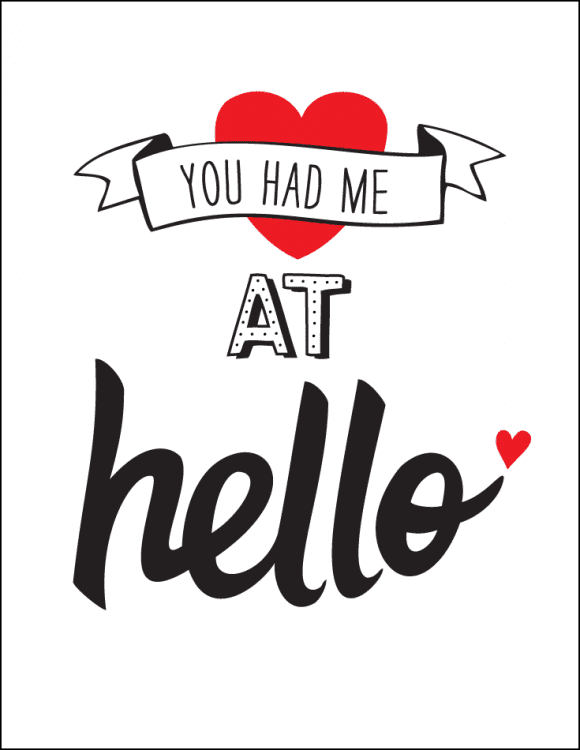 To see more of Shauna's work, check out Ella and Annie Magazine and visit her on Facebook, Twitter, Instagram, and Pinterest.